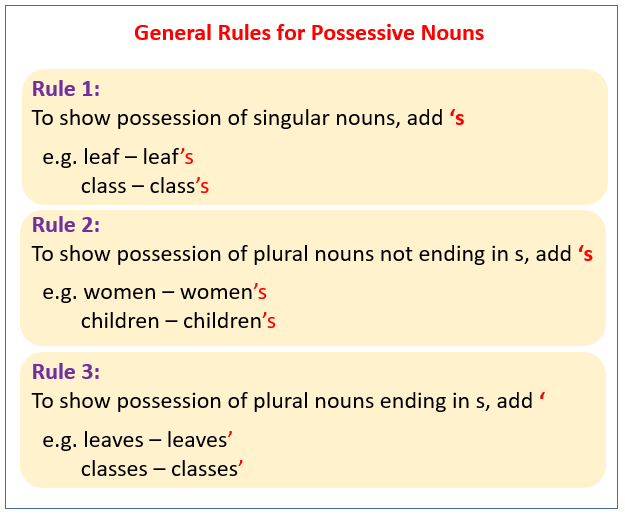 The following diagram gives the general rules for possessive nouns. Scroll down the page for more examples and explanations. This song explains using apostrophes to show possession. It provides examples of regular single and plural nouns that follow the general rule.